Isidingo (formerly known as Isidingo: The Need) is a South African television soap opera originally created by Gray Hofmeyr and set in Horizon Deep, a South African mining town, where the structure of the mining community from the lowliest workers to executive management reflects South African society as it is in the new millennium. The characters and storylines deal with the issues which face ordinary South Africans in their daily lives – their loves, fears, problems, heartaches and triumphs. 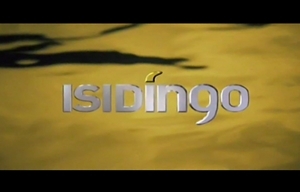 Isidingo premiered on SABC3 on Tuesday 7 July 1998, at 18h30. It currently airs on SABC3 Mondays to Fridays at 19h00. Isidingo is set in Horizon Deep, a South African mining town. The characters and stories are as colourful and diverse as South Africa itself. This atypical soapie covers real and current issues such as HIV/AIDS, domestic violence, inter-racial relationships and so much more. The people of Horizon Deep have a story to tell, one you want to hear. The Matabanes are from rural Thaba N'chu who have made a success of themselves in Horizon Deep. From stope worker to business owner, Zebedee is a proud husband and father. Agnes is an example that dedication and hard work equal success. Their son, Parsons is a jewellery designer married to Nandipha, an HIV positive TV star. Letti was married to a wealthy Dumisani and she is currently ON! TV's newsreader. Barker Haines and his daughter, Leonie own the Haines empire comprising of many businesses and ventures, including the TV station, ON!. This family has had to cope with tragedy, deceit and even a coup d'etat. Previously married to Cherel de Villiers, a femme fatale, Barker has had a taste for the adage that extreme wealth does not bring happiness and love. ON! TV is a bustling place of activity. The building is owned by the semi-reformed gangster, Georgie Zamdela, who proudly runs Papa G's on the penthouse floor. Many a celebratory drink is served to the staff of ON!. Their daily lives and relationships are the focus of the series. Lungi is shattered by Manqoba's dark revelation. The Lategans are still battling with the affair. Also: Is there a new love interest between Anja and Obakeng? The Lategan love triangle gets more complicated with a possible pregnancy. Also: who will be in the running for mayor?